Carpal Tunnel Syndrome is a painful condition of the fingers and hand as a result of compression of a major nerve where it passes over the carpal bone through a passage at the front of the wrist, alongside the hand’s flexor tendons. 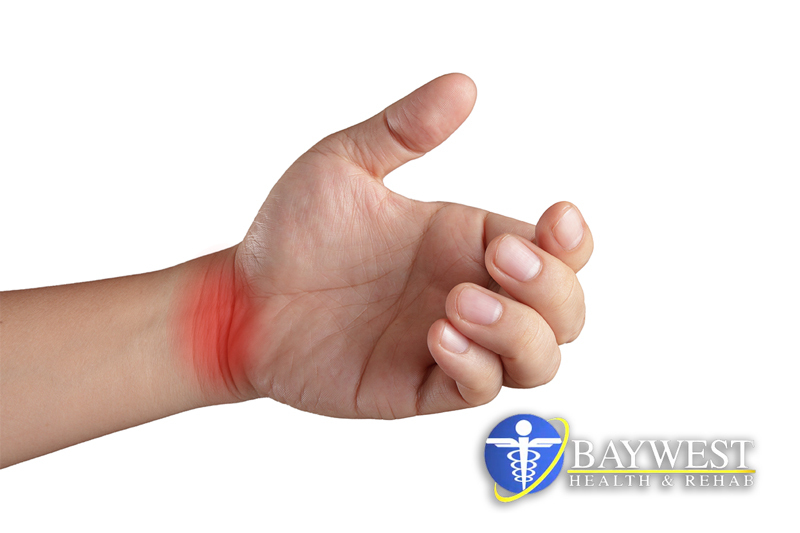 It is characterized by wrist and hand symptoms that vary from numbness and tingling to pain. Some occupations are more likely to bring in this disease than others. People who engage in repetitive flexion motions of the wrist and those who use vibratory hand machines frequently seem to be at the greatest risk. Typists and computer workers can also develop the symptoms of this disease. Although there is not much evidence, it’s believed that people with neck injuries like whiplash can also develop this medical condition. This is due to the fact that whiplash makes the nerves in the spine irritated or compressed, and those nerves finally travel to the hand, wrist, and arm, thereby, leading to Carpal Tunnel Syndrome. If the wrist’s bony tunnel is also narrowed, then a double-crush injury has occurred. Patients with multiple sclerosis or diabetes can also develop Carpal Tunnel Syndrome, although this happens occasionally. These diseases are rarer, but it’s essential to rule them out using a proper diagnosis before starting any treatment program. So, what options do we have for treatment of Carpal Tunnel Syndrome? Typically, medical doctors will use drugs to reduce inflammation as well as block pain signals. Sometimes, this may fail to work, and when such a situation occurs, the patient may be recommended to have a brace or splint to prevent the movements of wrist while the nerve heals. Surgery can be carried out in case these medical treatments don’t work. During surgery, the tunnel carpal is opened to release compression of the nerve. If or when you visit our office, we’ll carry out both wrist and spinal examinations to check the presence of a double-crush injury. Subluxation of a wrist bone (human body has 12 of them) can affect the nerves, and this can narrow the carpal tunnel. Similarly, a neck vertebrae located in an abnormal position will lead to the irritation of the nerve. X-rays are often required of the hand and wrist to check if the joints are misaligned as well as to rule out other diseases like fracture. Performing x-rays is very important if you have suffered a trauma such as a fall. Moreover, spine x-rays are designed to see the spinal structure and help determine if this is a cause of the hand or wrist symptoms. It’s important to let your doctor know if you have had trauma to your neck in the past. Before you contemplate wrist surgery, it’s advisable to consider conservative options first. When it comes to health, a number of patients opt for a non-drug approach, and thus, don’t want to simply mask the pain symptoms. Anti-inflammatory drugs, when consumed on a long-term basis, can have side effects like stomach bleeding. You will require a comprehensive examination to know whether you are good to go for chiropractic care or not. Before settling on an option, make sure it has very few or no side effects. Moreover, the option you choose should go hand in hand with your health condition.